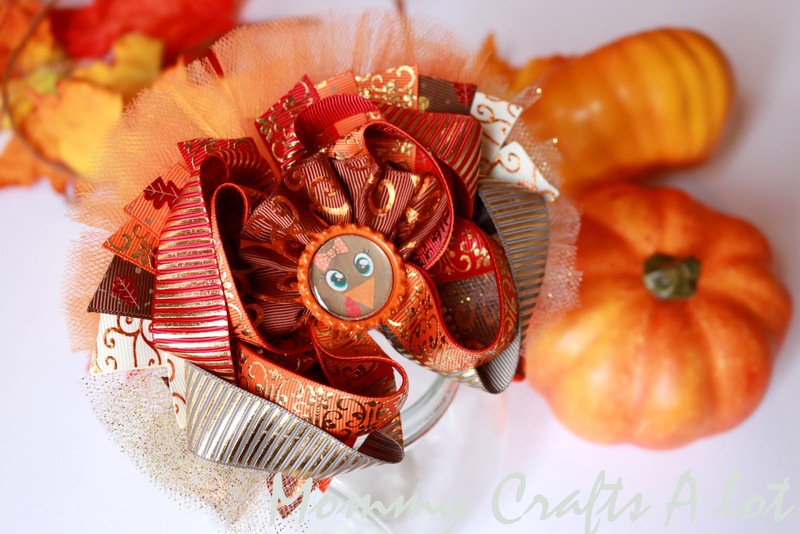 MommyCraftsAlot: DIY TURKEY hair bow / How to make a TURKEY Bow PLUS giveaway! DIY TURKEY hair bow / How to make a TURKEY Bow PLUS giveaway! Gobble Gobble! It's almost that time of the year again. Giveaway ends on November 9th at 12:00AM CST. OMG! ur too awesome! giveaways, diy, tutorials...u help us in all kinds of ways! god bless u always!<3 thank you for all u do!!! My favorite dish to make during this time of the year is a "Sweet Potato Casserole". The bad part is it is so so good Linda!! Thanks for offering your giveaway! Wish I could offer you some of my casserole in exchange for all I've learned from your tutorials! My favorite dish is Turkey Dressing,but I make great candid yams. I love dressing with gravy and all your bows! My 4 grand daughters will be wearing "Mommy" inspired bows once again all through the holidays! Thank you. I have always loved broccoli with cheese sauce. Christmas tree....lol...no not crazy...i cant wait see your video with tree in back ground..
Can you use regular computer paper for bottle cap images?